School’s out, our classrooms are tidied up and we’re officially on holiday, and that includes writing for our blog! But we’re reposting some great articles over the next two months that you may have missed, to read and catch up with the website. With the summer break and the hot weather we’re having right now, we love to spend some time out of the sun doing one of our favourite activities: reading. Just the thought of freedom to read whatever we want, for as long as we want, is a delicious moment to savour! It’s a great chance to visit your local library, favourite book stores, or even peruse old favourites from your home library, for reading material. Exploring secondhand bookstores is another fun thing to do with your family. We both love to buy old books to complete collections of series we started in childhood (I own every copy of the original 65 Nancy Drew books; and Christy, the entire A.A. Milne Winnie the Pooh series); or old copies of a favourite English series, Thrush Green by Miss Read, wonderful books about a fictional Cotswold village. The two schoolteachers, Miss Watson and Miss Fogerty, remind us that although our methods and curriculum might have changed, the sheer delight in working with young children remains the same. Visiting new and used bookstores while we travel is a must. If you’re in Victoria, British Columbia, you must visit Russell Books, on Fort Street. It’s just up a few doors from the delectable Dutch Bakery where you can indulge your sweet tooth. If you’re going down the coast, Village Books in Fairhaven, Washington, is a great destination. They have a wonderful children’s book section, and a lovely gift shop with an old fashioned candy area. 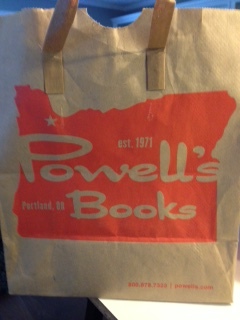 For those travelling through Oregon, you have to go to Powell’s Books in Portland Oregon. Go upstairs to the coffee bar for a coffee and cookie–absolutely fabulous! Warning: we spent only a morning at Powell’s and felt rushed. If you have a family of book lovers, you’re going to need time as it is takes up an entire city block! We bought 18 books on our last visit, and Christy’s family a mere 14, and getting down to those numbers was a huge challenge at best. So now that you’ve bought all your books, time to start reading at home. A few weeks ago we started a Home Reading Program for our Kindergarten classes. It’s just a simple program of emergent books and readers, where the children independently select a book to take home to read with their parents three times a week. We have our book exchange during Centre time. We call the children over to choose their book by our “bookkeeping” method of the ziploc bags where we’ve written their names and keep the individual books. After the children select their new book and put it into the ziploc, they place the book inside their backpacks to go home. Home Reading is a fun opportunity for our students to read aloud books appropriate for their reading level to their parents. But it’s not meant to replace the nightly bedtime story. 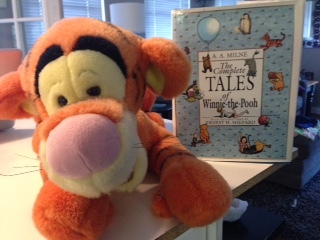 This entry was posted in Book Nook, Kindergarten Basics by thekinderteam. Bookmark the permalink.